If you have recently bought a new PC preinstalled with Windows 10, you likely have found that the manufacturer has created just one or two partitions on the large drive. For instance, if your PC ships with 500 GB HDD, you likely have a single partition of size around 440 GB where Windows 10 is installed. Most users like to create multiple partitions on a drive to avoid saving all files on the partition where Windows is installed. 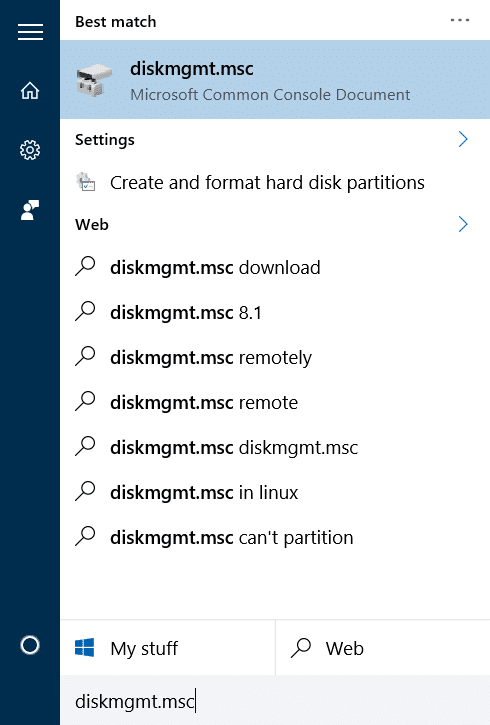 If the “C” drive or the partition where Windows 10 is installed is too large, you might want to shrink the system drive (drive where Windows is installed) and create new partitions. Luckily, the Disk Management tool can be used to shrink and extend partitions in Windows 10. The Disk Management tool offers wizard-style interface for extend and shrink operations. And the best thing is that you can extend and shrink partitions without losing data. 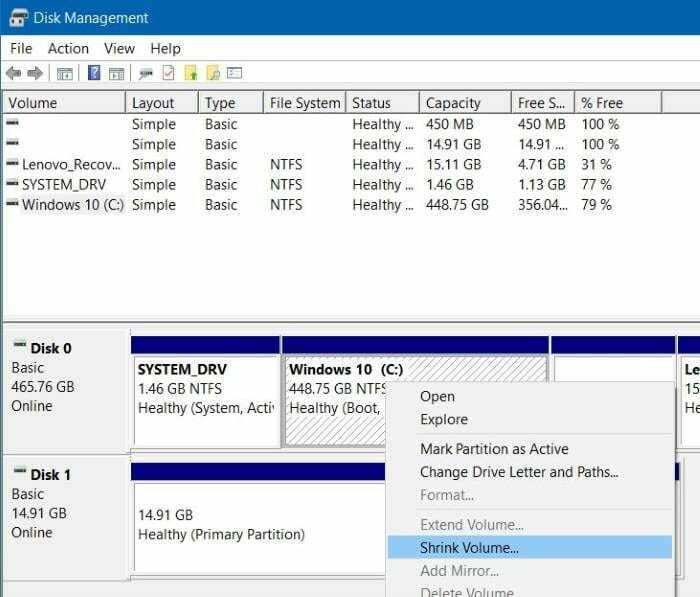 In this guide, we will see how to shrink a partition in Windows 10 with losing data. 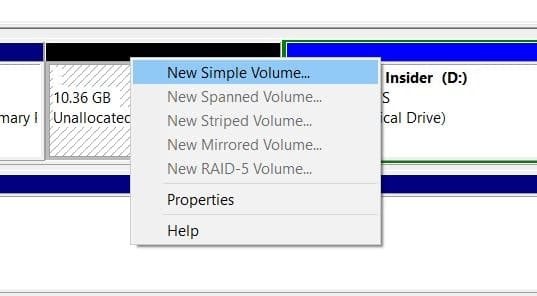 Complete the given below directions to shrink a volume in Windows 10. WARNING: Although your data will be safe, we recommend you backup your important data to an external drive or second drive on the PC just in case if something goes completely wrong. Step 1: In the Start menu or taskbar search box, type Diskmgmt.msc, and then press Enter key to open Disk Management. 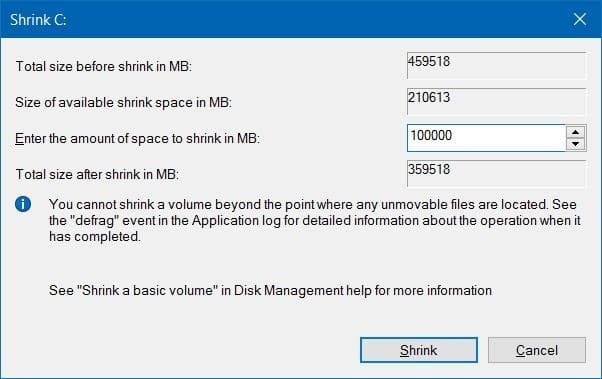 Step 2: Right-click on the partition that you want to shrink, and then click Shrink Volume option. As the above dialog displays, it’s not possible to shrink a volume beyond the point where any unmovable files are located. In the field next to Enter the amount of space to shrink in MB, enter the amount of space you would like to shrink in MB. Note that the amount must be less than the amount mentioned in the field next to Size of available shrink space in MB. For those who don’t know 1 GB = 1000 MB. After entering the amount of space to shrink, click the Shrink button. That’s it! The amount of space that you got by shrinking the volume will appear as Unallocated in Disk Management. If you’re unable to shrink a partition using Disk Management, you can use a third-party software compatible with Windows 10. There are plenty of free partition managers around. We recommend you try out MiniTool Partition Wizard, AOMEI Partition Assistant Standard Edition or EaseUS Partition Master Free software.